Lusaka Mayor Wilson Kalumba has died. He is said to have been quietly battling a heart condition. Minister of Local Government, Vincent Mwale confirmed the demise of Kalumba at the University Teaching Hospital (UTH) in Lusaka this morning. The Minister told a press briefing attended by Deputy Mayor Chilando Chitangala, Local Government Permanent Secretary, Amos Malupenga and several Councillors that Kalumba, 54, died around 11:40 hours this morning. “It is with a heavy heart that I wish to announce the passing on of the Mayor of Lusaka Mr Wilson Kalumba who passed on around 11:40 hours this morning here at the UTH. He was brought in around 06:00 hours,” Mwale said. He revealed that despite being unwell and on medication for some time, Kalumba continued discharging his duties. During his official visit to Namibia in January 2018, Kalumba collapsed, was admitted to hospital where he was given emergency treatment. RIP Wilson. At least you made us smile just at the mention of your name. Go well Sir. I met him in Namibia at Okahandja when he was being driven to Windhoek Hospital. We spoke briefly but one could tell the man was unwell, MHSRP. Today the 16th May 2018 the International Mayors Forum opened their three day meeting in Lilongwe, Malawi. The meeting observed a One- minute silence in honour of the Lusaka city Mayor who passed away on 15th May in Zambia. We, Zambians who were in attendance are grateful to the Malawi Government and the Forum Organisers for this show of solidarity. The late Mayor and the Kitwe mayor Christopher Kangombe who is also President of the Local Government Association of Zambia were the invited delegates from Zambia. 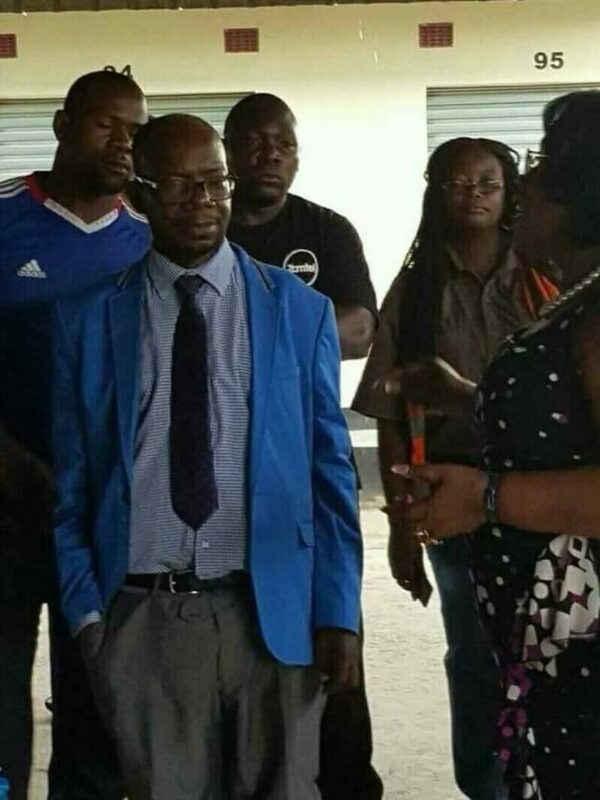 The Kitwe Mayor is in attendance and will return to Zambia when the burial date is announced. On behalf of the Zambia High Commission, Zambians living in Malawi and on my own behalf register our collective deep grief at the untimely death of our beloved Mayor of the City of Lusaka Mr Kalumba (may his soul rest in eternal peace). Untimely because at 54 years and having been elected to this high office of Mayor only in 2016, the late was just beginning to showcase his leadership potential at local government level. To His Excellency the Republican President, the Patriotic Front leadership/members, the Lusaka City Council, the Kalumba family and fellow country men and women we, in Malawi, join the nation in mourning the departed Comrade and pray that in his memory we continue the PF programme to transform Lusaka into a city we can all be proud of. May God bless Zambia. Rest in peace my dear brother. The good lord knows why he called you at this early age. l believe your service on this earth and to mother Zambia was not in vain and the good lord will grant you a peaceful place in his kingdom. Till we meet one day, brother, “REST IN PERFECT PEACE”.